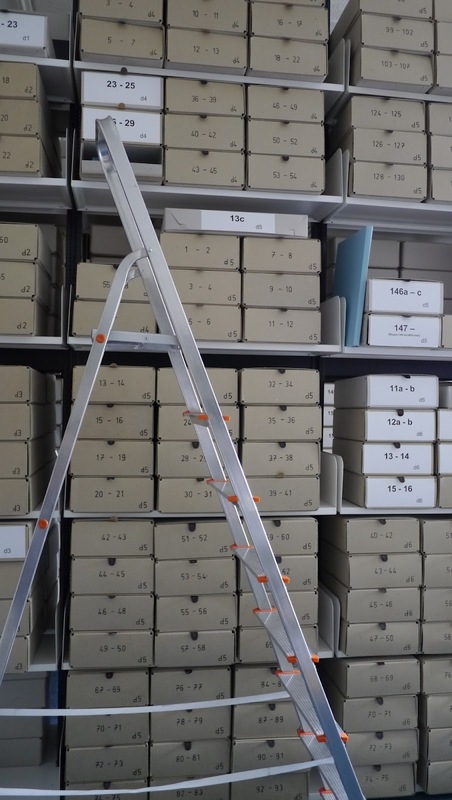 These delicious archive boxes house all the info gathered by the dOCUMENTA organisation and the (separate) dOCUMENTA Archive. 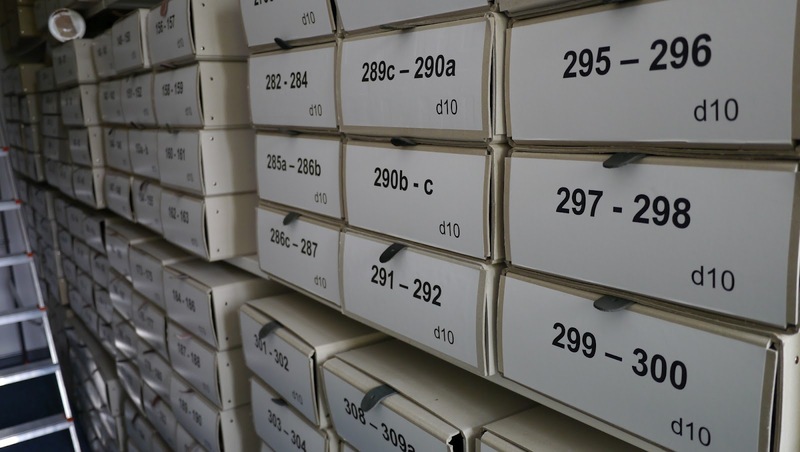 They are arranged chronologically by exhibition, represented by the stencilled d6 on the bottom left of the box. 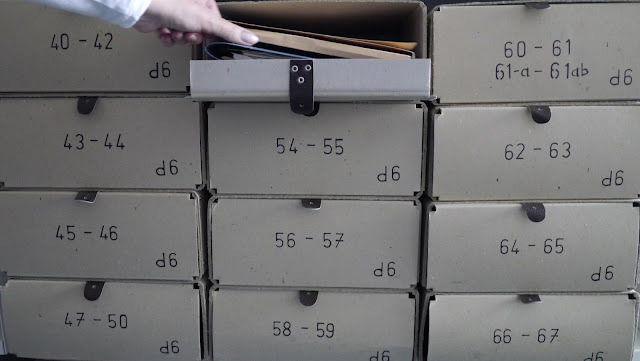 These hold paper files, press clippings, invites and administrative notes for dOCUMENTA 6, held in 1977. With Manfred Schneckenburger at the helm as Artistic Director, it was the last dOCUMENTA that founder Arnold Bode was involved in. Bode passed away 2 days after this dOCUMENTA closed. 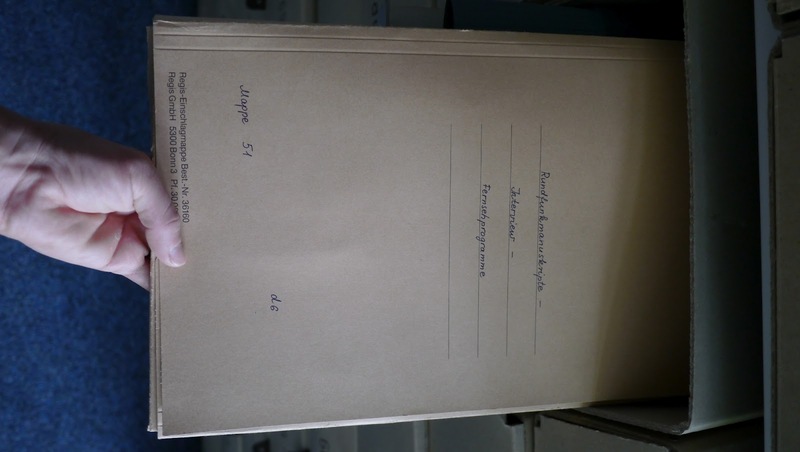 This particular file holds a number of Bode's writings, thoughts, and sketches for the event.